All I can say is that this book was just as suspenseful and nerve wracking as the Maze Runner. Dashner's descriptions of the heat and horrid conditions was relentless; I thought I was the character Thomas going through all the pain and psychological torture. The one thing I loved was Thomas' loyalty and caring for his friends throughout the whole book, I loved the way they talked to each other. "You guys alll right?" Minho finally asked. Thomas grunted a yes, and Newt said, "Pretty dure we just arrived in bloody hell. Always thought you'd end up here, Minho, but not me." I liked how Minho was a cut-throat leader you admired (because Tomas admired him) and I felt I got to know Frypan and Newt more as fleshed out characters...I was not happy with the Teresa scenario, I will say no more about that...and I hate WICKED and their plots against these kids (for the good of the human race---baloney! ), the Flare and the variables!!! I am hanging on for the 3rd book, The Death Cure, but I have a few other books ahead that I must really get to, but these books just really stay with you... Highly recommended. 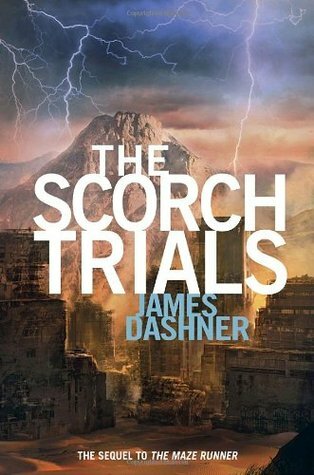 Sign into Goodreads to see if any of your friends have read The Scorch Trials.